The weather couldn’t be any better today. 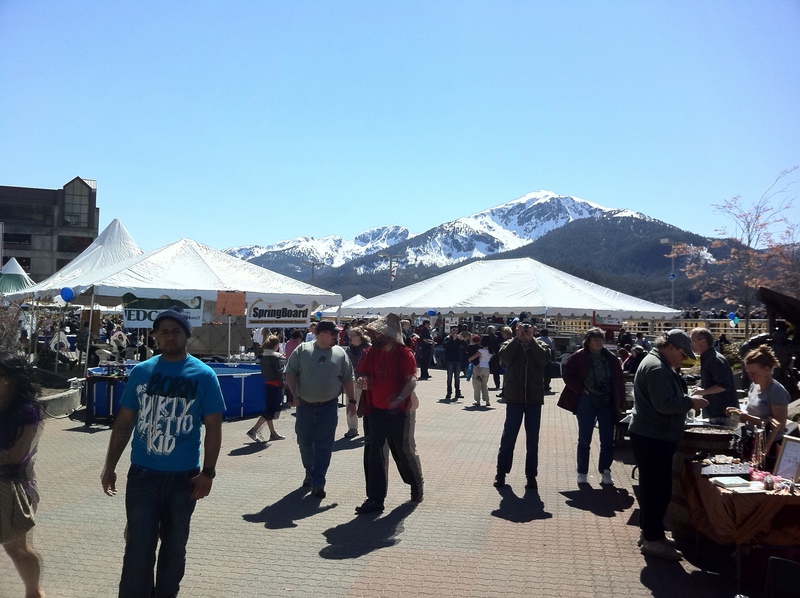 There is nothing like Juneau on a bluebird spring day. Well, the turnout has been great today. The event has grown and the number of people has increased due to two cruise ships in town. Come on down, the sun is shining and salmon is on the grill.